OHSC will be a hybrid stepper motor controller using foc techniques based on the modern powerstep01 driver and a powerful stm32f4 microcontroller. The goal is to develop a stepper motor controller that can operate at stall conditions smoothly the same way expensive industrial servo motors can. A high resolution rotary encoder with sub microstep resolution is used to provide feedback. The initial idea came from researching direct drive steering wheels for racing simulators. Servo motors are often used by simracing enthusiasts as they provide accurate and strong force feedback but also come with a hefty price tag. When sacrificing some smoothness a stepper motor can be bought for a fraction of the price but i had to realize that there are no cheap modern hybrid stepper drivers available at all that would be fit for the task. The first goal is to design a driver able to create some smooth torque and a force feedback application based on usb hid/pid. This will certainly please the simracing community and hobbyists looking to get into force feedback for cheap. First tests of heavy load movement. Notice that no loud grinding and step skipping occurs. The basic principle of the current prototype is a foc loop that permanently adjusts the current electrical position by sending bursts of step impulses in stepclock mode. This allows to prevent the motor from skipping full steps and always provide the maximum amount of torque. 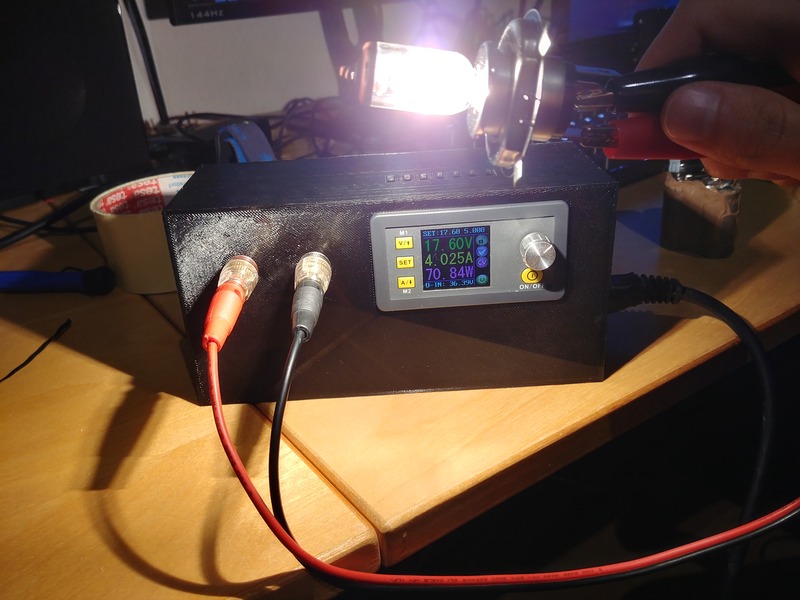 Based on the popular DPS5005 Module i have created a 3D printed power supply (Thingiverse STL). These modules can also be controlled via usb with modbus. A python example is available on my github. This allows for automatic measurements and live readouts. A 32V old kodak power supply is fitted in the bottom of the case. For the fan a standard DC-DC buck converter was used. The temperature stays reasonably cool when used with a fan while running at over 100W . The limiting factor here is the power supply and the 5A limit of the module. These modules should not be used without a bit of thought about airflow as the switchig mosfets can get very hot in enclosed spaces. I wondered why i have never seen anyone making music with a siren so i had to try it myself. It was started when i browsed thingiverse and found a nice little siren model and i had all the parts i needed around. The interface is based on an arduino micro as a midi interface to generate a ppm signal to use with hobby escs based on incoming notes. If the esc and motor respond quickly enough and hold the speed well it can be used as a (probably terrible) instrument. I was pretty surprised how well it actually workded and expected it to be much worse. The speed is not really regulated other than by the calibrated esc and a fixed voltage source and the spin up and down time depends on the inertia of the rotor and how good the esc can brake. 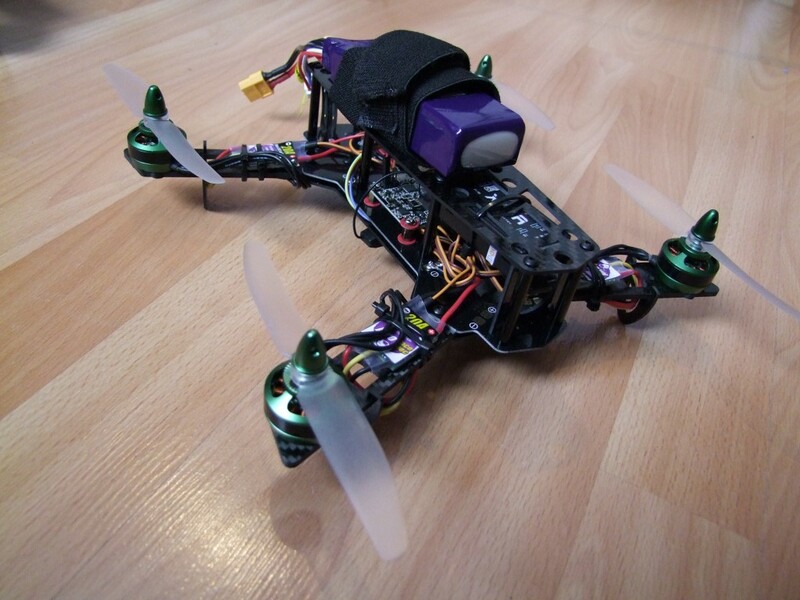 Fast quadcopter escs and a strong motor are preferred for this. Some escs offer closed loop speed controlling which would be even better. I have used a cheap racerstar lite 20A esc running blheli and a spare 2204 multistar elite 2300kv motor. This is my first real quadcopter build. 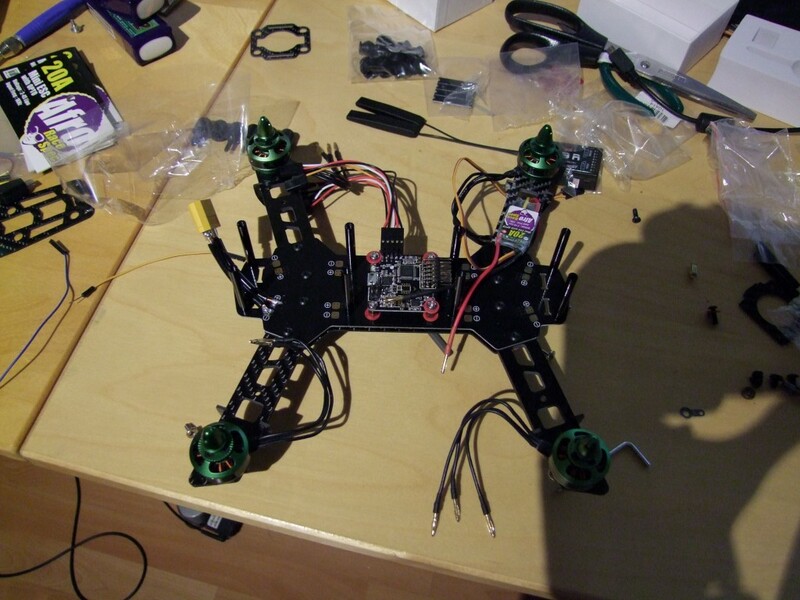 It is based on the Diatone 250 frame, some Multistar elite 2204 2300kv motors and the naze32 flight controller. The Naze32 rev5 does not work with sbus without an additional inverter so i first tried to just use pwm. Even without flying i noticed an annoying delay in the throttle response so i tried to use sbus anyways and bypassed the inverter in my x8r. I will still have to change the flight controller later as i want to use s.port telemetry, which won’t work with the naze32 rev5. 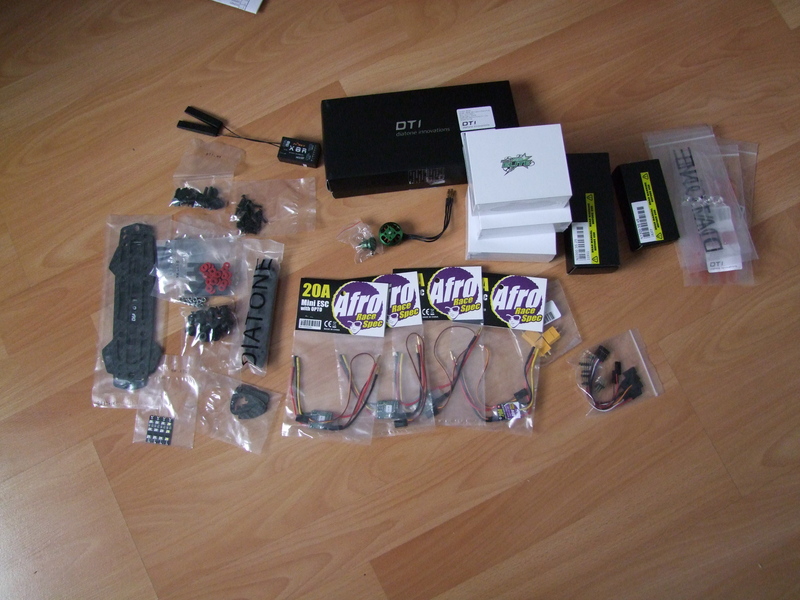 To save a bit weight it should also be a good idea to clean the wiring and switch to the smaller frsky x4r receiver. Some years ago i loved smartpropoplus, a software that lets you use any rc remote with trainer port on you soundcard to emulate a windows gamecontroller. I decided to direct the fm decoded signal from sdrsharp via VB-Cable into smartpropoplus to check if it can be decoded and it worked. 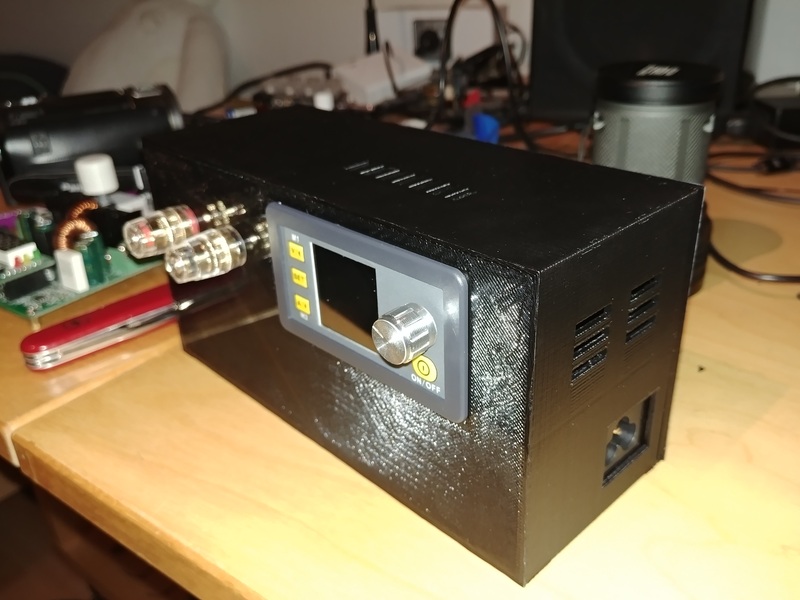 The next time i used a raspberry pi to receive the signal and direct it via rtl_fm and aplay into a soundcard input the same way the remote would be connected with a trainer cable. 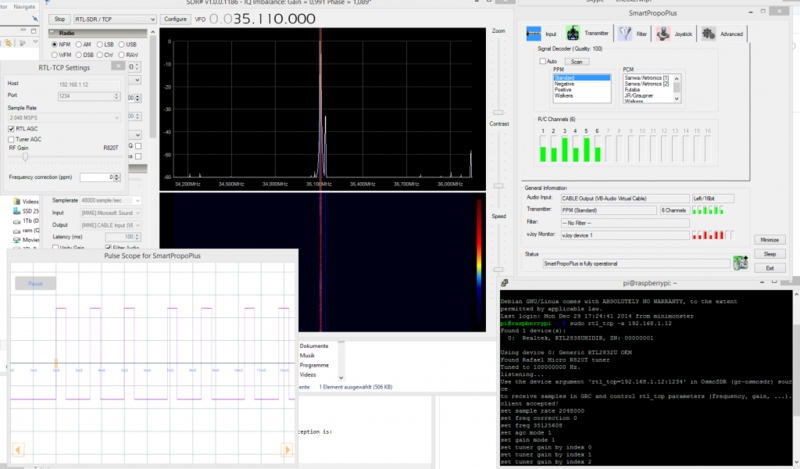 The latency is pretty high because of rtl-sdr but this method works great with any remote control and it is not longer limited by a trainer port and you get some pretty good range. It makes no difference in the delay if rtl_fm or sdrsharp is used but rtl_fm is of course better for any „real“ use. More stuff is coming soon.